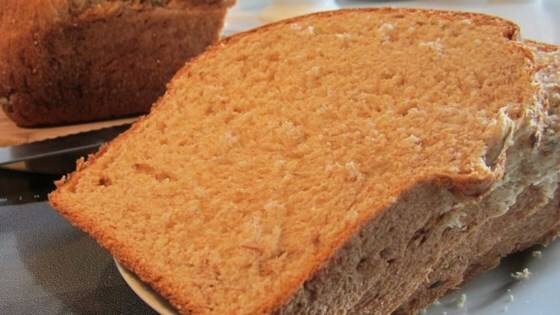 "This bread is a solid textured loaf appropriate for sandwiches, spreads or eating with a meal. It has two kinds of grains and three kinds of seeds in it. It is solid and hardy; yet light and sweet." Not sure why but I tried this break over the weekend using a breakmaker and it didn't rise. It was very dense and didn't taste good either. Any suggestions? If not, I won't be making this again. I used 1/4 c. soaked wheat berries in place of millet, quinoa, and flax seeds. Made into hoagie buns and baked in a french bread pan. awesome!